A workplace pension scheme is a way of saving for retirement through an employee’s earnings. But what is a pension scheme, exactly? Why does your small business need to provide one? And what’s the set-up process like? We’ll provide answers to these questions, look at the different types of pensions, and show you how to provide for your own retirement. Small business pensions: What do you need to know? You can skip to the section that you want to learn about the most. Or, for a more in-depth look into workplace pensions for small business, make sure to read the whole article. Alternatively, if you’re ready to compare quotes for auto enrolment right away, simply complete the form at the top of the page. 1. Small business pensions: What do you need to know? A pension scheme is a long-term savings plan, with a set amount deducted from employees’ salaries on each pay day. Providing a pension scheme is a key requirement for many small businesses, and is often managed by the HR team. Pensions are often taxed at a preferential rate, compared to other types of savings. They work on the basis of saving for an employee’s retirement while they’re earning and working. Upon retirement, there tend to be two options available to employees: take a lump sum of cash (25% of which is tax-free), or arrange a form of regular income, which is paid in installments and may be taxed. It may also be possible to do a mixture of options. Visit the Gov.uk guide to find out more about pension tax. The State Pension is provided by the government, and is based upon national insurance contributions. A workplace pension is in addition to any state pension benefits that employees may receive. This article will focus on workplace pensions. For more information on State Pensions, visit the Gov.uk guide here. 2. Workplace pensions for small business: What are the different types? As mentioned, there are different types of pension schemes. This article will focus on schemes that are run by employers. It’s important to note that your employees aren’t limited to only saving through one type of pension. But as an employer, you are limited in the type of pension scheme you can offer. A pension is a type of savings fund, in which usually the employer and the employee contribute. It’s a type of investment so that when an employee retires, they can have an income or savings available to them. Defined benefit pensions are based on an employee’s length of service at a company, and how much their earnings are. This type of pension includes an amount that’s paid for life, and the amount goes up each year. It is often used by bigger companies or public sector organisations. Defined contribution pensions are a way of saving for retirement based upon the amount of money that is paid in, as well as how the fund is invested. This is likely to be one of the more suitable types of pension schemes for small businesses. With the workplace pension type, this will mean that the contributions are deducted from employees’ salaries (pre-tax). As an employer, it’s your responsibility to organise this. This is a two stage process – the first stage is the fund being invested into during employment, and the second is how employees can access and use the pension when they turn 55. As an employer, you can offer this type of pension and contribute to it. There is a minimum amount that employers have to contribute to an employee’s workplace pension: from 6 April 2019, it will be 3%. You could opt to match the amount your employee pays in, or you may wish to contribute even more. This could serve as a way to attract and retain talent – as part of a benefits package, for example. Pensions are important for a number of reasons. This includes the fact that you need to meet your obligations as an employer (for certain employees). Visit our page on the best workplace pensions for small business for more information. When do you have to offer a pension scheme? If you employ one or more people, then you’ll have to offer a pension scheme. Generally, if you’re responsible for deducting tax and National Insurance contributions from someone’s pay, then you’re classed as an employer. If you’re a sole trader, then you’re likely to be exempt from providing a pension scheme – for example, if you’re a carpenter and you work alone. Similarly, if you run a business in which everyone is also a director, then your business would be exempt too. If an employee works on a part-time basis and earns under £10,000, you wouldn’t need to provide contributions for them – however, they can still join the workplace pension scheme if they want to. If you’re responsible for deducting tax and National Insurance contributions for one or more people, then you’re likely to be classed as an employer. State Pension age is usually around 65, although this depends on when a person was born. There are also some proposed changes. The Gov.uk website has a tool that can check State Pension Age. From 6 April 2019, the minimum contribution will be 3% of qualifying earnings. Each pension scheme will have its own rules as to what is deemed as qualifying earnings. Also, the amounts depend on the frequency of an employee’s pay, e.g. weekly, monthly. Note that you may be fined for late payments or for not meeting the minimum requirements. You may also need to provide contact details of a senior person in your company to The Pensions Regulator. Check how the pension fund will invest the money – does it match your employees needs? Auto enrolment is an initiative designed by the UK government. 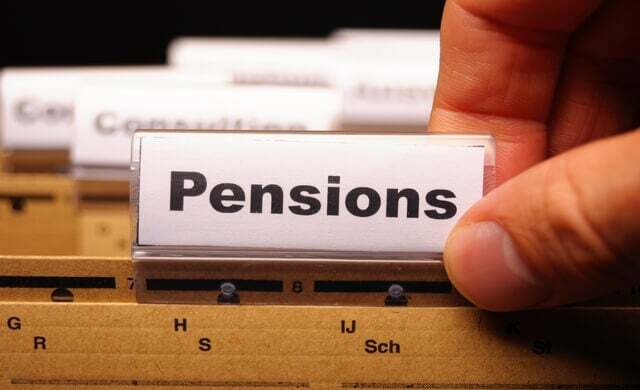 Instead of employees having to opt in to a pension scheme, or some employers offering no pension at all, now all employers have to offer a pension scheme that eligible employees are automatically enrolled into – unless they opt out. You can find out more on our dedicated auto enrolment page. As a self-employed person, there are a few pension plan options to choose from: a personal pension plan, a stakeholder pension scheme, or a self-invested personal pension plan (SIPP). A personal pension plan is an investment policy for retirement, designed to offer the option of a lump sum and regular income during retirement. It is available to any UK resident who is under 75 years of age, and can be bought from insurance companies, high street banks, investment firms, and some retailers, such as supermarkets. They are money-purchase arrangements, which means you make regular payments into a fund which is then invested on your behalf. However, some schemes enable you to invest lump sums, which you may find useful if you have irregular earnings. You will receive a yearly forecast from your pension service provider, which will tell you how much your fund is worth and how much you can expect to receive if you continue to contribute at your current level. The amount you’ll receive at retirement will depend on how much money has been paid in, how well it was invested, and the age at which you retire. The companies that run these pensions will charge you for starting up and running your pension, which is usually deducted from your fund. As a member, you can retire at any age between 55 and 75. When you do retire, you can generally take up to 25% of the value of your fund as a tax-free lump sum. The remainder of the fund can be used to buy an annuity (a regular income for life) with an insurance company. A stakeholder pension scheme is a money-purchase arrangement designed to provide a lump sum and income during retirement. Like a personal pension plan, it is available to any UK resident under the age of 75, and can be bought from insurance companies, high street banks, investment firms and some retailers. These schemes are worth considering if you are a moderate earner, have an irregular income, or wish to top up other pensions. A self-invested personal pension plan (SIPP) follows the same basic rules regarding contributions, tax relief and eligibility. The difference is the investment freedom that a member has, and the ability to borrow against the fund for further investments. A conventional personal pension generally involves the plan-holder paying money to an insurance company for investment in an insurance policy. The choice of investments is limited to that offered by the plan provider. However, an SIPP allows the plan-holder much greater freedom in what to invest in, and for the plan to hold these investments directly. The plan-holder can have control over the investment strategy, or can appoint a fund manager or stockbroker to manage the investments. The SIPP itself is established under a trust where the trustee controls the investment under instruction from the member. It is possible for the plan-holder to be the trustee – however if this is the case, an approved administrator must be appointed to carry out investment transactions. An SIPP can borrow money against the value of the fund for investments that the trustees consider will benefit the scheme, such as commercial properties. It can borrow, at any time, up to 50% of the scheme’s assets. The tax regime surrounding pensions has been simplified in recent years, and you now have considerably more flexibility when it comes to funding your retirement. Set up a Small Self Administered Scheme (SSAS): These are a kind of trust-based pension scheme which allows you to do various things with the funds in your pension pot, including lending money and making investments, whilst receiving various tax exemptions. You can also set up these for specific staff members in your business. Use a pension scheme as part of an exit strategy: If you plan to sell your company to bankroll your retirement, take full advantage of this rule by paying a large lump sum into your pension fund before exiting; not only will this provide you with a sizeable pension in its own right, but will reduce the capital gains tax on the sale of the company. Remember, though: you cannot go over your lifetime allowance without attracting a tax penalty. Set up a pension mortgage: This is an extremely tax-efficient way of paying off a charge on a property. Under this scheme, you make interest-only payments on a mortgage and pay into the pension at the same time. When the mortgage term reaches its end, you pay off the mortgage with the tax-free sum you saved in the pension pot. What forms of pension funding are there? There are various ways of saving for retirement; you should investigate your options, and decide which suits the needs of you and your staff best. Executive Pension Plans (EPP): These are contribution-based plans, provided by you as an employer and administered by a life assurance company. Employees do not have to pay National Insurance contributions on payments made into such a fund, and you can normally transfer an existing pension plan into one. You have flexibility over the amount and frequency of payments made into an EPP. Self-Invested Personal Pensions (SIPPs): The key feature of this plan is flexibility. Under an SIPP, you can make any kind of investment permitted by HMRC, and include any kind of asset in your plan. Normally, you will need to hire a fund manager to take care of investment decisions, which means the running costs of these schemes can be high. Pensions Salary Sacrifice: This is where an employee gives up a part of their salary up-front for an employer to pay straight into a pension pot. This means you both avoid having to make NI payments on contributions. What are the alternatives to pension schemes? Pension schemes are by far the most popular way to save for retirement, but there are a couple of other options open to you. Selling property on retirement: This can provide you with a large lump sum you can use to fund your retirement. Be aware, though, that it leaves you at the mercy of fluctuating property prices. Individual Savings Accounts (ISAs): Interest and withdrawals in ISAs are tax-free, and money can be accessed at any time. Higher-rate taxpayers will probably be better off in a full-blown pension scheme, however. At this point, you’ve learned more about small business pensions, including what a pension is, the different types available, and how to go about setting up a scheme for your company. We’ve also looked at some potential benefits of pension schemes for small businesses. Now, read our page on auto enrolment for more detailed information about that particular aspect of workplace pensions. And for an in-depth look at pension providers, check out our guide to the best pension providers. For more specific details regarding your particular business’ requirements, you can compare quotes for auto enrolment by filling in the form at the top of the page.